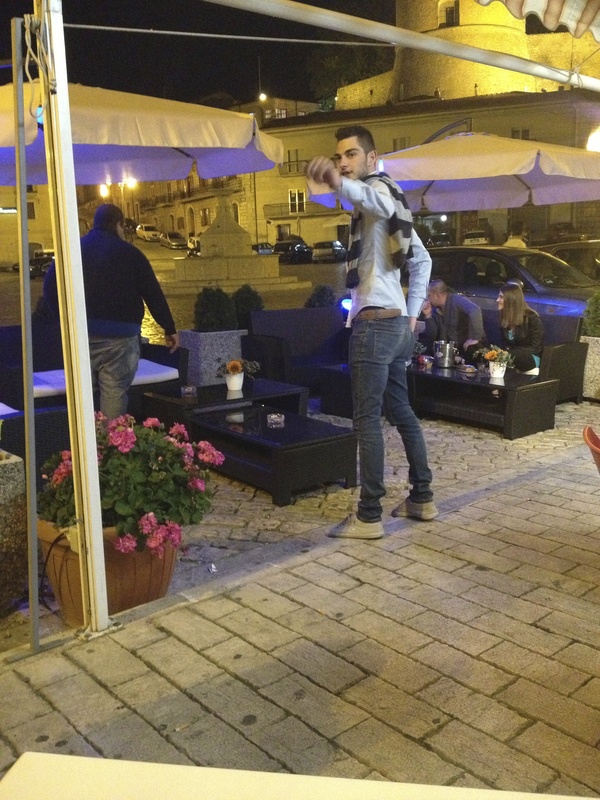 May 12, 2014 by midgeguerrera, posted in Any Day in Pontelandolfo, Food - Eating In and Out! Hemingway had Soppy Joe’s Bar in Key West. F. Scott Fitzgerald had the Ritz Bar in Paris. Dylan Thomas had the White Horse Inn in Manhattan’s West Village, I have Bar Elimar in Pontelandolfo, Italy. Some folks work at Staryucks. I prefer the joint that makes the 90 cent real cappuccino. Hey, reality check – I know I am not in the same league as those major writing players but I am willing to learn from them. The first lesson – find a home away from home that will jump start your creative juices. Or in my case, provide me with a tribe. Some folks can work alone – I need the constant buzz of other folks around me. They don’t even have to talk to me – just be there. Sure I could sit at my desk, stare out the window at incredible mountains and maybe even pretend to write while I wallow in self pity and loneliness. 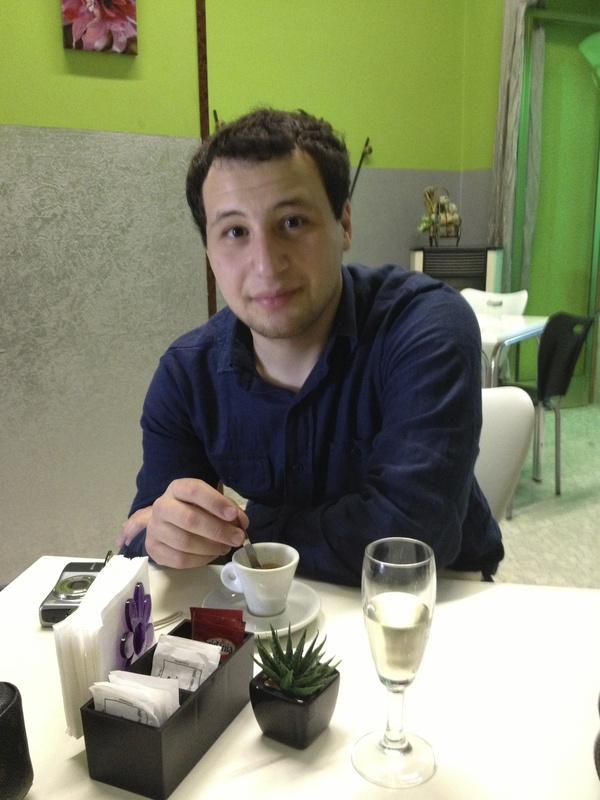 Or I could walk down the mountain to Bar Elimar – today I drove- have an incredible cappuccino, whip out my Macbook Air or iPad mini, stare at cool stuff and write about the people places and things I see. A win win. The first thing I see is the cool art Marilina has drawn on my cappuccino foam. 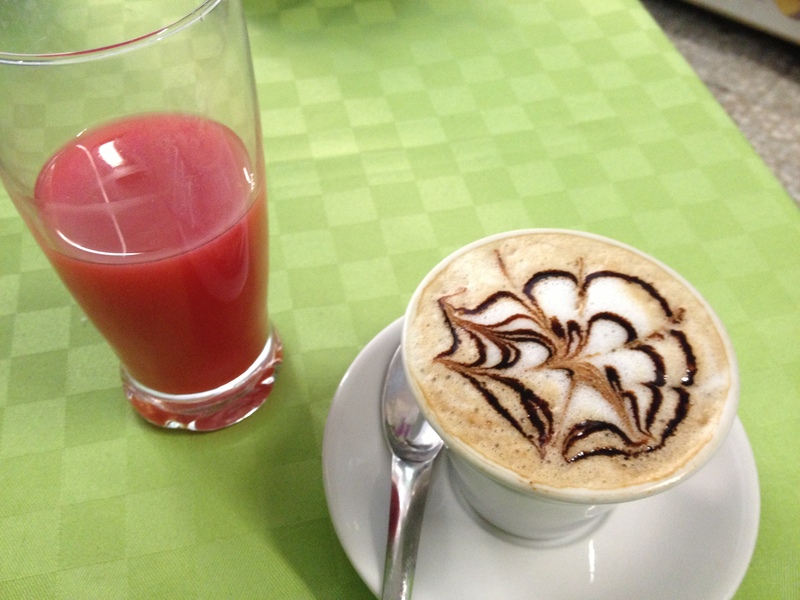 Yes, that is blood orange juice. Most mornings, Marilina makes me that double, taking care to paint a flower, treble clef or fluid design in chocolate on the top of the steaming milky foam. That art as part of my daily life is all I need to get inspired to slap my fingers on the keys. 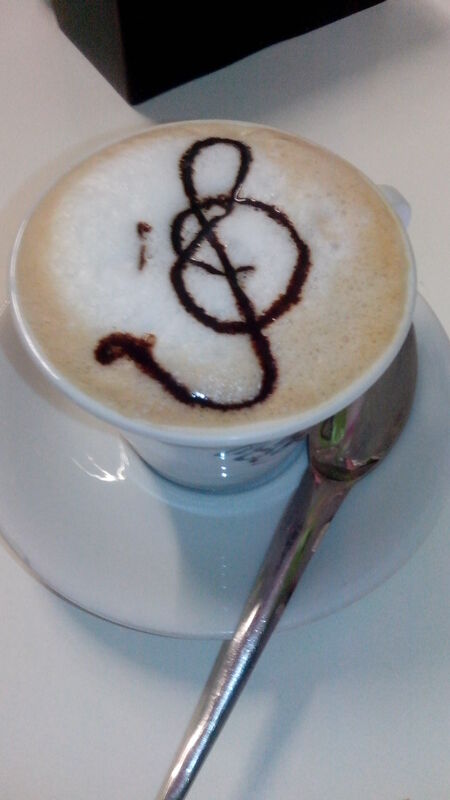 The treble clef is my favorite. Music in the morning! 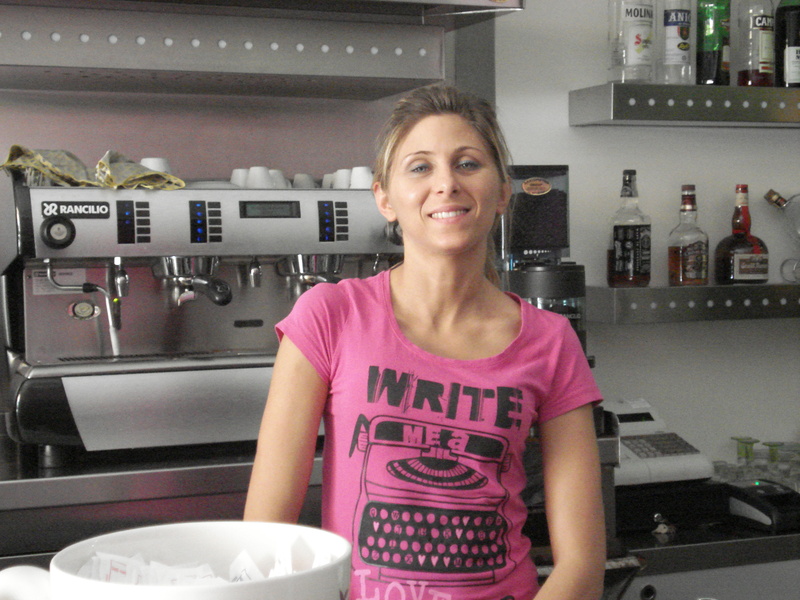 Marilina Mazzamauro, the artiste of cappuccino. Notice her writer’s T-shirt! I just did! 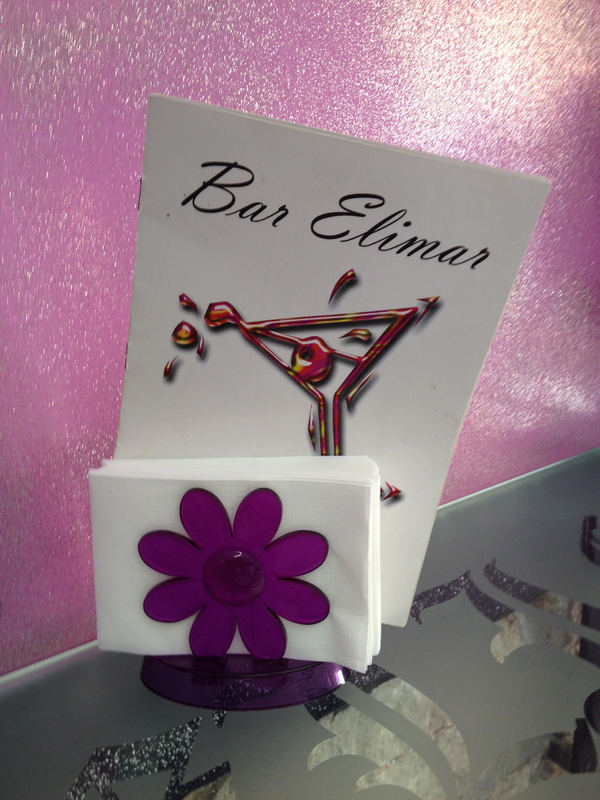 Bar Elimar is about four years old and a fixture of piazza life. Located on Piazza Roma in Pontelandolfo (BN) it is often filled with pensioners shouting and slapping down cards in frenetic games. Hey – didn’t I write about them? Yikes, I do steal stories from the bar. Outside on warm days, the comfortable whicker couches, umbrellas and tables attract all from tweens to adults. What I like about the place, besides the morning coffee art, is that everyone feels welcome and the place is spotless. I always feel secure enough to leave my MacBook Air on the table inside and go to the bathroom – ain’t no one going to steal my stuff with Marilina behind the counter. Some days, my new friend Rocco – he’s about 8 years old – will plop next to me and pummel me with questions. He also likes playing with my iPad – h’mm maybe that’s the attraction. It is that feeling of inclusion – being part of the community that really resonates with me. An afternoon visit by my nephew Nick Losardo – the $.80 prosecco was mine. Bar Elimar has music often during the summer. Marilina, how can you work until 4 a m and open at 7:30? Children and adults – including this crazy American – sit around, order a drink or thee under the moon and sway to the music. My question is after they pay the bands, rent the tables, rent the stage and hire the waitstaff do they make any money. Some times I think that the good life of the village,is more important to the village merchants than the bottom line. Could that be true? Since I started back to my writers room, all the projects that I played with while in New Jersey have been percolating in my brain and my keyboard. The work may not make me a star but writing for a few hours at Bar Elimar sure makes me feel like one. Next postHow Many Bags of Fava Beans Are There? 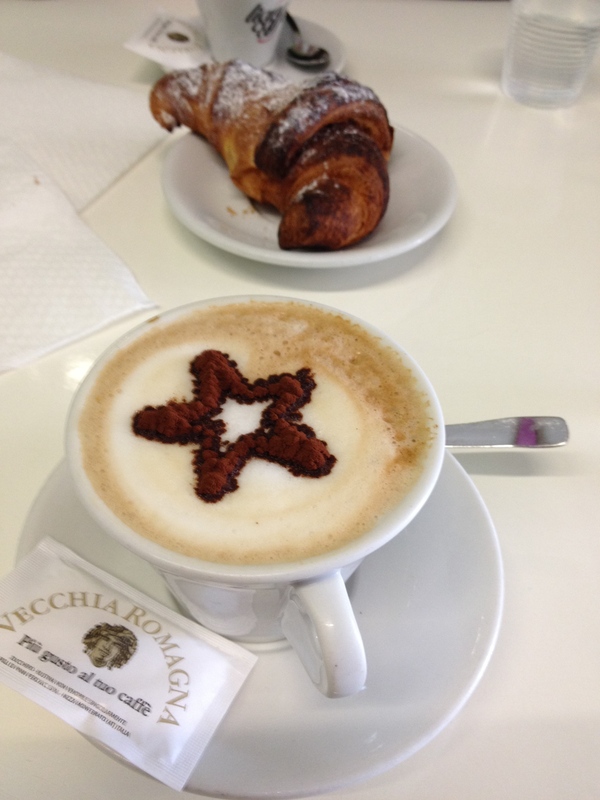 Any day that can start with something as pretty as those cappuccinos (cappuccini?) is a good day.